A crane is a mechanical object that is designed to lift heavy objects. Modern cranes have ropes, a winder, and sheaves. This device can lift heave objects off the ground, move them in a horizontal line, and even lift them higher up from the ground. In general, these devices make massive construction projects much easier, and eliminate the need for people to use their own natural strength. Besides, some objects are so heavy that only a machine could lift them. Today, cranes have many uses. 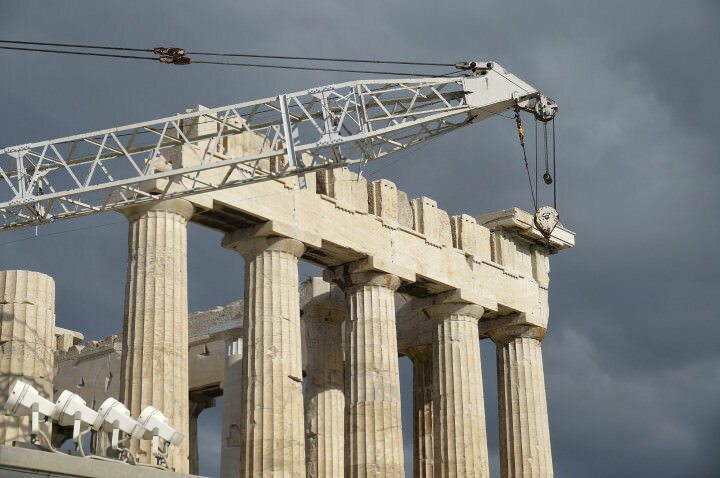 They can be used for new construction, or they can be used to fix structures that have historical importance, such as the crane in the picture, which is being used to restore the Parthenon in Athens. 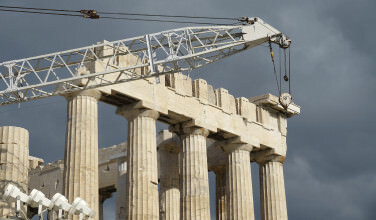 Besides that, did you know that the original crane was actually invented in Ancient Greece? 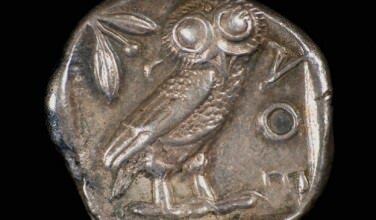 Archeologists have uncovered evidence that the Ancient Greeks were the first to use cranes to lift heavy objects. They predict that they were first in use in the 6th Century B.C. When observing various archaeological sites, they noticed that there were distinct markings that created grooves and holes in some of the stone structures. They surmised that these grooves and holes were created by some kind of lifting device. At this time, they were mostly used to lift heavy stone blocks when they were making temples. In other words, the crane was invented because the Ancient Greeks needed a more efficient way to build their temples and other structures. Today, cranes have a fairly complex design, much more complex than those that were invented in ancient times. 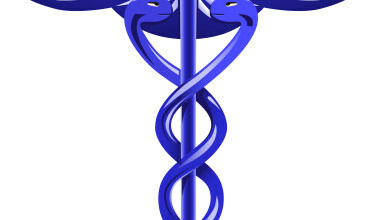 However, these designs simply evolved from the original and the basic mechanics are still the same. Early cranes were made with simple ropes, which were used to hoist the stones more easily and efficiently. Over time, the Greeks introduced the winch and pulley, which made the cranes even more efficient. As the cranes got more efficient, they could lift heavier loads at further distances. 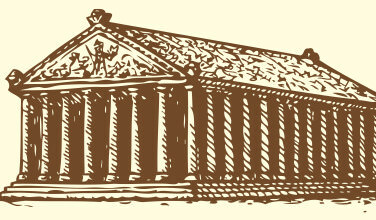 Without using cranes, Ancient Greek buildings would have looked much differently. Over time, builders relied on these devices to make the temples and other impressive buildings, many of which are still standing today. For instance, the Parthenon is a massive structure, and each of the stone blocks could weight several tons. Although the Parthenon has been damaged over the years, much of it is still standing. It would have been almost impossible to create these temples if it weren’t for cranes because they made it possible to move each of the stone blocks. Prior to the invention of the crane, builders relied on ramps to construct their buildings. Although this worked to a point, it wasn’t as efficient as the crane. Even though ramps made it somewhat easier to lift the stones, it still relied too heavily on human strength. With the crane, the machine does most of the work, which makes it a much more efficient invention.